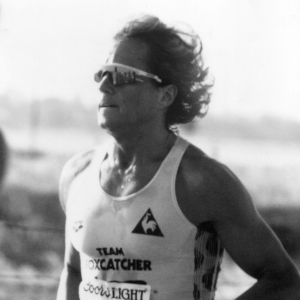 Fred Klevan, a native of Philadelphia’s Main Line, is a renown runner, duathlete and triathlete. From 2001 to the present, he has attained United States Track and Field All American Status in the 5K, 5M, 10K, 10M and Half Marathon. He is a five time Masters Champion of the Philadelphia Blue Cross Broad Street Run, three time Masters Champion at the Philadelphia Rothman Institute 8K and the 2001 Masters Champion at the Philadelphia Distance Run Half Marathon. In April of 2002, Klevan broke the American Masters 10,000 meter track record with a time of 30:25. Other Masters personal bests are 14:40 for the 5000 meters, 51:07 in the 10 Mile Run and 1:07:51 in the Half Marathon. Other running and multi- sport honors that Klevan has achieved are being named to the Triathlon Today All American Professional Duathlon Team, twice becoming champion of the Liberty to Liberty New York to Philadelphia Triathlon, the 2005 Penn Relays 20K Distance Run Champion, six time Spring Lake Five Mile Run Champion, and in 1990 was ranked 3rd in the Coors Light US Professional Duathlon Series. Klevan gave one of his greatest triathlon performances in 1986 at the Emmaus Triathlon where, after swimming a mile and biking for 30 more, he scored a thrilling come-from-behind victory by running the hilly 10 mile course in 56:08. Amazingly, Klevan trailed the eventual second place finisher by more than seven minutes after the first two events. Even though the final event was his best, he felt his chances were slim. “I had to run faster than usual for a triathlon, somewhere in the 5:30’s per mile. It was a memorable victory”. In recent years, Klevan has scaled down his long training runs and twice weekly track workouts, but, after participating in 15 marathons, he is no less competitive running 13.1 miles than he was running 26.2 miles. Fred Klevan, a sales representative for Oakley Sunglasses, is the founder of Philadelphia Treats for Troops, a non-profit organization that ships care packages to servicemen and women deployed overseas. He lives in Merion with his wife Sandy and their two children, Victoria and Harrison.